Students must achieve a minimum 3.2 TERM UCF GPA and a minimum 3.0 TERM Honors GPA (if enrolled in Honors courses) while on probation. Students who do not meet these requirements while on probation will be removed from the University Honors program. Students will be removed from probationary status once their UCF and Honors cumulative GPAs return to the required 3.2 and 3.0, respectively. Any questions regarding this policy should be directed to the Office of Honors Advising. Students who do not take any Honors classes for two consecutive semesters (including future semesters) and/or are off-track with their Honors requirements will be asked to meet with the Office of Honors Advising to discuss future Honors coursework. Honors students will be informed of this during the semi-annual Honors audit process in December and May. At this time, students will receive an email to their KnightsMail account instructing them to check their Honors status on myHonors. If a student does not meet with the Office of Honors Advising, and does not take any Honors classes for four consecutive semesters (including future semesters), they may be withdrawn from the University Honors program. Students who are withdrawn may apply for reinstatement into the program after meeting with an Honors advisor and devising a mutually agreed upon plan of study to complete University Honors requirements. Students who do not complete this plan of study may be withdrawn permanently from the University Honors program. All First-Time in College (FTIC) students in the University Honors program must enroll and earn a Satisfactory (S) grade in Honors Symposium (IDH 1920H) during their first fall semester at UCF. FTIC students who do not receive an S grade in IDH 1920H will be removed from the University Honors program at the conclusion of the fall semester, regardless of their UCF GPA or Honors GPA. Appeals will be considered on a case-by-case basis. Students must comply with the Honor Code; failure to do so may result in dismissal from BHC. Due to vendor obligations, refunds are only honored 30 days before an event. All requests must be submitted in writing. Refunds may take up to five business days to process. 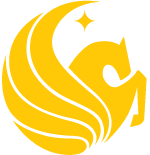 The Burnett Honors College respects your privacy and only collects your information for the sole use of University of Central Florida and its affiliates. Should you have any concerns about our policy please contact us at honors@ucf.edu or 407-823-2076.